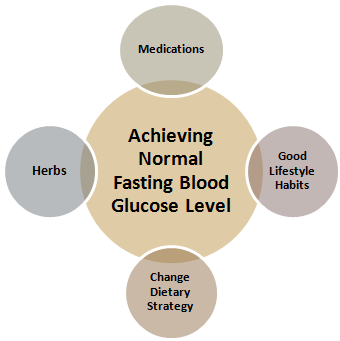 Basically normal fasting blood sugar levels are considered fasting blood sugar levels between 80 mg/dl and 100 mg/dl. These figures come out when you measure your blood sugar level in the morning after have been fasting for at least 8 hours. This is the time between the dinner and your breakfast. Everything you eat influence in you fasting blood sugar level. What you need to do is to keep your fasting blood sugar levels at a normal range, I.e as lowest as possible. If you find it so difficult for you, let our specialized medical team do the job. Click here to get helped now! What if the range of your fasting blood sugar levels go up 100 mg/dl? Chart Explained! The chart below will help you get an idea on what goes on in case of changing of fasting blood sugar levels up 100mg/dl and down 70 mg/dl. Actually, when your fasting blood sugar level readings are between 100 and 125 mg/dl, then most probably you may have pre-diabetes. It is a condition in which your body insulin function is impaired. You may know it also as impaired fasting blood glucose condition. In case your fasting blood sugar levels figures are higher than 125 mg/dl, than most probably you may have diabetes. Further diagnostic exams will determine what type of diabetes you may have. Remember: always will be a double check to fully determine if you have diabetes or not. This means that you've to control for a whole week your fasting blood sugar levels, register the results and consult your doctor if you are going to be considered as a diabetic or not. You've to watch out the figures lower than 70 mg/dl. In case you've been experiencing more than two episodes of low figures, than you should consult your doctor. It all depends on what medicine you're taking and what diet you're following. You must keep in mind the gold rule: try to achieve the normal fasting blood sugar levels. You must work hard on it and never surrender. If this is so hard for you, try this natural alternative by clicking here. 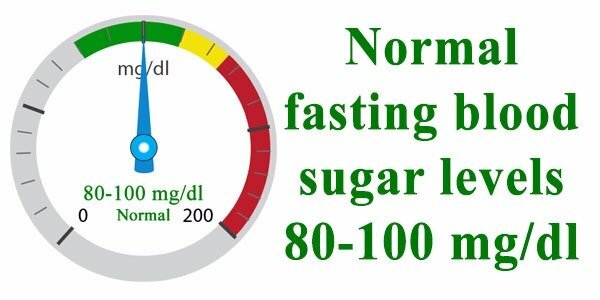 Normal Fasting Blood Sugar Range is 80-100 mg/dL. Should assure your numbers are within normal range before determining Diabetes. If not sure, write down your numbers and send to the doctor for review. 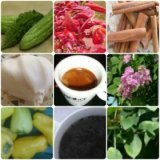 If fasting blood glucose is high, should start changes in diet and lifestyle regimen as natural remedies.